Statistics from the Alzheimer’s Association cast a long shadow on the future of the disease. Today, an estimated 5.5 million Americans have Alzheimer’s. By 2050, as many as 16 million people could have the cognitive disease. “Because of the increasing number of people age 65 and older in the United States, particularly the oldest-old, the number of new cases of Alzheimer's and other dementias is projected to soar. Today, someone in the United States develops Alzheimer's dementia every 66 seconds. By mid-century, someone in the United States will develop the disease every 33 seconds,” the association explains. No surprise that Alzheimer’s is on a lot of people’s minds these days. There is no cure, and the main risk factors of age and heredity can’t be changed. But can Alzheimer’s be prevented? “One promising line of research suggests that strategies for overall healthy aging may help keep the brain healthy and may even reduce the risk of developing Alzheimer’s. These measures include eating a healthy diet, staying socially active, avoiding tobacco and excess alcohol, and exercising both the body and mind,” according to the Alzheimer’s Association. Today, let’s examine the first preventive topic—eating a healthy diet. In the recently published The Alzheimer’s Prevention Food Guide, two registered dietitian nutritionists have put together a list of more than 100 foods that contain properties beneficial to healthy brain functioning, such as being anti-inflammatory and promoting cognitive function. “While there is no one diet or food proven to prevent Alzheimer’s disease, there is evidence that diet may decrease the risk of developing Alzheimer’s,” write Sue Stillman Linja and Seanne Safaii-Waite. The 100-plus list includes many of the foods found in the Mediterranean and DASH diets, which have been recommended for lowering blood pressure and promoting a healthy heart. 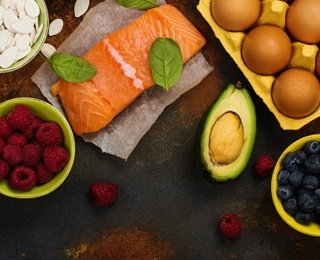 “While consuming a healthy diet is not a magic bullet to remove all risk of developing the disease or to reverse Alzheimer’s, it does show promise for those with no current signs or symptoms of cognitive loss,” the women write. Retirement communities closely follow new developments and research related to Alzheimer’s, especially when it comes to diet. Since residents typically eat at least one meal provided by the community, incorporating healthy foods into recipes can potentially impact all residents. Kendal at Oberlin, for instance, incorporates many of the foods found on the 100-plus list. “We serve a lot of fish, quinoa, kale, fruits, nuts and use spices on the list, such as garlic, ginger, basil and cinnamon,” says Sue Campbell, community nutritionist at Kendal. The dinner menu at Kendal also includes a vegetarian option, and a vegan meal is available upon request. Serving utensils are selected to promote portion control, and the menu posted outside the dining room includes nutritional information. Sue says the dining staff is always experimenting with new, healthy recipes, such as chocolate pudding made with protein-rich chia seeds. Two resident/staff committees (nutrition and food) explore dietary topics and make suggestions to the dining staff. Meet our chefs and view our dining rooms during your tour of Kendal at Oberlin! Schedule one now! What Do Japanese and Seventh Day Adventists Have in Common? 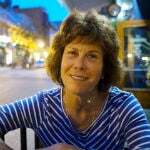 Last year Sue presented a talk on nutrition and aging and talked about the Blue Zones, a topic of great interest to residents. Author Dan Buettner and National Geographic located five places with the highest life expectancy—Barbagia region of Sardinia; Ikaria, Greece (lowest rates of dementia); Nicoya Peninsula, Costa Rica; Seventh Day Adventists in Loma Linda, California; and Okinawa, Japan. Not only were people living longer in these places, but they were typically healthier, both physically and mentally, than their counterparts in other parts of the world. A team of researchers identified nine common denominators among the five places. 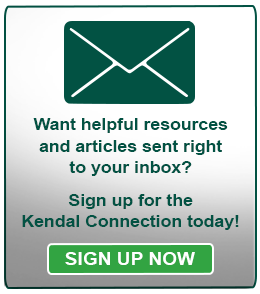 Discover how Kendal residents live the good life! The MIND diet was developed by Martha Clare Morris, a nutritional epidemiologist, following an aging research study of 923 older adults over nearly five years. Those participants who consumed the MIND diet had a 53% reduction in the rate of developing Alzheimer’s compared to those who followed a diet least like MIND. The diet focuses on 15 food groups. The 10 favorable food groups are green leafy vegetables, other vegetables, nuts, berries, beans, whole grains, fish, poultry, olive oil and wine. The five food groups to avoid are red meat, butter and margarine, cheese, pastries and sweets, and fried or fast food. Dr. David Mischoulon, director of the Depression Clinical and Research Program at Massachusetts General Hospital, said the diet has promise, but more studies are needed. Results of another brain-food study, released this summer at the Alzheimer’s Association International Conference, gives additional support to the MIND diet. This study was much larger than the first, involving nearly 6,000 older adults. "Eating a healthy plant-based diet is associated with better cognitive function and around 30% to 35% lower risk of cognitive impairment during aging," said lead author Claire McEvoy of the University of California, San Francisco School of Medicine. Read about other highly-rated healthy diets here.